Like so many others, Harley Refsal discovered his life’s work while in college. But Harley wasn’t inspired to become a doctor, lawyer, or businessman. 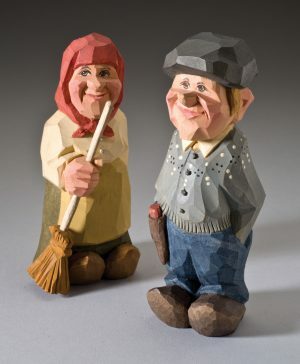 Instead, on a choir tour to Scandinavia in 1965, Harley discovered flat-plane woodcarving. 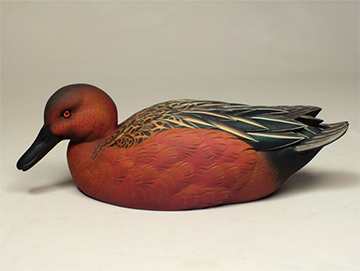 “I saw whittled figures, what I know now were considered Scandinavian-style flat-plane carvings,” Harley said. “This figure carving was done not with a whole arsenal of tools, but with just one knife.” This knife, called a “sloyd” knife, was thick-bladed and used for everything in the rural communities of Scandinavia. Harley refined his style by practicing and teaching, and even completed commissions for customers. 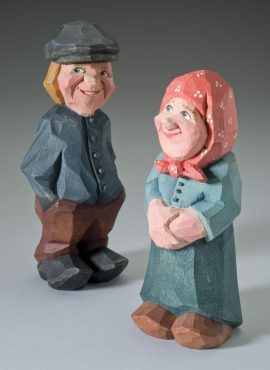 In the mid-1980s, seeking more instruction, he moved his family to Norway to attend a graduate program in Norwegian folk art. The head of the program initially planned to coordinate a meeting between Harley and some Norwegian carvers. 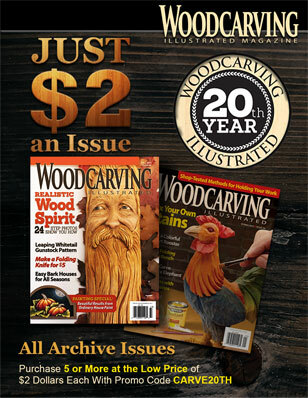 But when the director started looking for carvers, he couldn’t find any—the people Harley had seen in 1965 had died, and no one was doing flat-plane carving anymore. 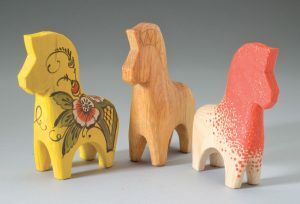 Harley wrote his dissertation on Scandinavian-style flat-plane carving and later adapted the dissertation into his book Art & Technique of Scandinavian Style Woodcarving. The book was published by Sterling in 1991 and reissued by Fox Chapel Publishing in a reworked and expanded version in 2005. After returning to the United States, Harley resumed his position at Luther College, but also taught carving classes all over the United States during the college’s annual spring break. 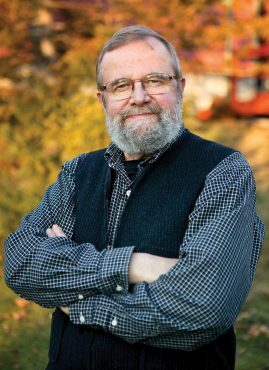 Even after retiring, Harley continues to teach a class in Scandinavian fine hand craft during the January term, a three-week mini-semester featuring all-day classes in one subject. In addition, over the past three decades Harley has taught 30 classes in Norway, Sweden, and Iceland. His work has paid off. Not only is Harley one of the founding members of the Caricature Carvers of America (CCA) and the published author of several books and magazine articles, but in 1996, he was honored by King Harold V of Norway. 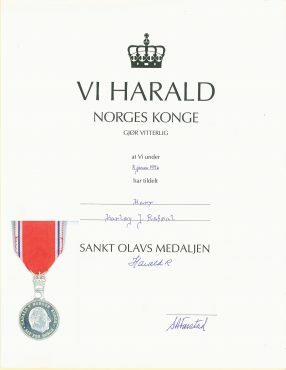 The king awarded Harley the St. Olav’s Medal for his work promoting and popularizing the art of Scandinavian-style flat-plane carving in the United States and Norway, as well as his research into the origins of the art. Harley had an audience with King Harold at the palace in Oslo, Norway, as well as a presentation ceremony with the Norwegian consulate in the United States. 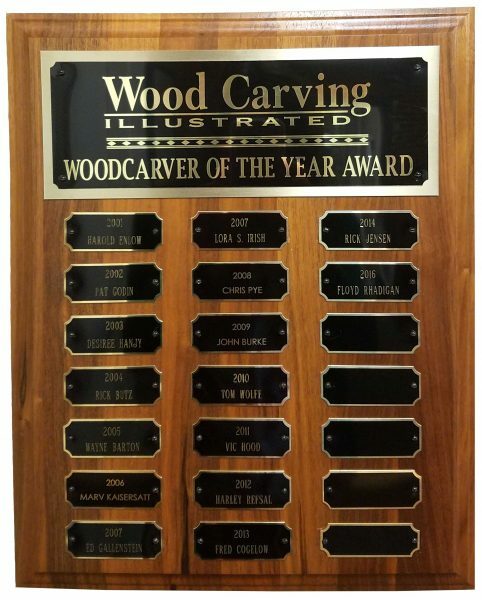 Like King Harold, Woodcarving Illustrated is honoring Harley for his dedication to not only the art of Scandinavian-style flat-plane carving, but also his passion for sharing his knowledge and preserving the art. 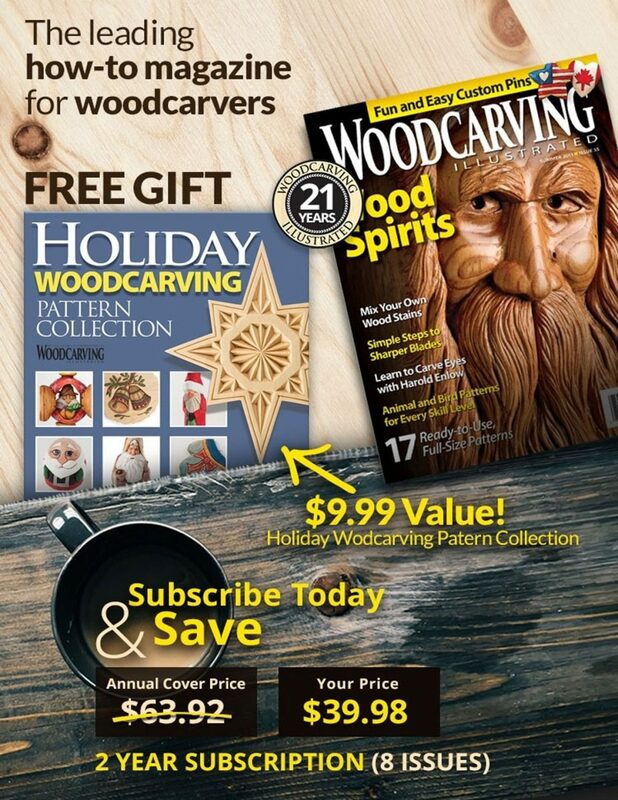 Without Harley’s devotion to flat-plane carving, it could have died out with the last generation of carvers. CLICK HERE to visit Harley Refsal’s website. CLICK HERE to purchase Harley Refsal’s books.